This week’s list of data news highlights covers January 19-25, 2019, and includes articles about how the company that makes Budweiser is using AI to keep its packaging line working and an AI system at the U.S. Department of Veteran’s Affairs that can predict kidney injury. Researchers from Stanford University have developed an AI system that predicts how likely a patient is to die in the next year. The system, which the university’s medical school is piloting, uses data from a patient’s own medical history and other patient records to make the prediction. The system can help patients and doctors decide to focus on palliative care, which reduces pain without addressing the cause of the condition, for patients with a 90 percent or higher probability of dying in the next year. Anheuser-Busch InBev, the maker of Budweiser, has combined wireless sensors and machine learning at one of its Colorado breweries to predict when motors will need maintenance. The beermaker placed the sensors near packaging line motors to measure vibrations, and the sensors transmit data in real-time to an AI system that compares the vibrations to the sounds of a well-functioning engine. Since its implementation roughly six months ago, the system has helped prevent more than $200,000 in product loss. Swedish startup Mapillary has used crowdsourcing to create a database of 422 million images of roadside objects, such as utility poles, to help autonomous vehicles drive safely and to enable cities to better understand their streets. Mapillary’s database covers 3.9 million miles, and it uses computer vision to identify objects in uploaded images. Cities such as Clovis, New Mexico, already use Mapillary, which updates its maps daily, to identify issues such as obstructed roads, out-of-date signs, and potholes. Researchers from Boston University have developed an algorithm that creates rough images of objects displayed on a hidden computer screen by analyzing the light the objects reflect onto a wall. The algorithm first uses an object’s shadow to recreate the object’s position before analyzing light particles to reconstruct simple images. While other researchers have accomplished similar tasks with special camera and lighting equipment, this new algorithm can create images of an object from only a single picture taken by a digital camera of the reflected light. Boeing successfully completed its first pilotless test flight of its passenger air vehicle, which has a 50-mile range and looks like a mixture of a helicopter and propeller aircraft. The electric vehicle, which is 30 feet long and 28 feet wide, took off vertically and hovered for less than a minute before safely landing. Boeing plans to test forward flights in the future. The U.S. Department of Veterans Affairs (VA) worked with DeepMind to create AI software that predicts when patients are likely to develop acute kidney injury (AKI), which is a life-threatening condition that affects over half of adults in intensive care. The VA provided DeepMind with hundreds of thousands of medical records from a ten-year period which DeepMind used to train its system. Predicting a patient’s likelihood to develop AKI is particularly important because of the quick speed at which AKI causes damage. A court in Shanghai has adopted an AI assistant called the 206 System. The system can respond to verbal commands to perform tasks to aid court proceedings. For example, it can transcribe speech during proceedings while identifying which individual, such as the judge or prosecutor, are talking. 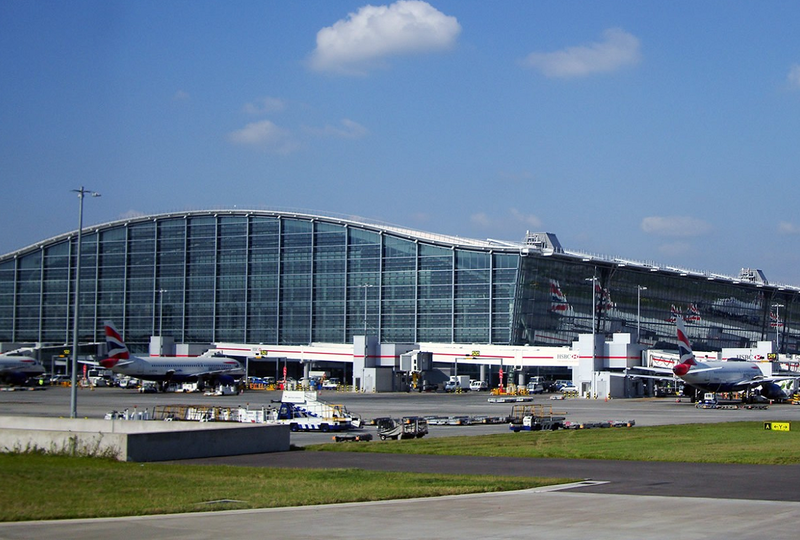 London’s Heathrow Airport is starting a trial to determine if high-definition cameras and AI can reduce the time gap between flights landing by as much as 20 seconds. Cameras will feed images to an AI system which will analyze the images to alert air traffic controllers when it is safe for flights to land. Clouds often obscure views from Heathrow’s control tower, which is 285 feet tall, forcing the airport to use radar readings to determine the location of planes. DeepMind’s AI system AlphaStar dominated video game professionals at playing StarCraft II, winning ten out of the eleven games it played. Before playing the human professionals, DeepMind trained a neural network on the data from video replays of humans playing the game. And after playing 200 years worth of StarCraft II in only one week, AlphaStar chose the 5 best AI agents for the game to deploy against the human professionals. Conservationists are using autonomous drones to eradicate the invasive rat population on the Galapagos Island of Seymour Norte. The drones drop rodenticide bombs within a half meter of accuracy, while flying along predetermined routes over the less than one-square-mile island. This approach has nearly eradicated the rat population which was harming the island’s ecosystem by eating bird and reptile eggs as well as the insects that act as pollinators.